In the years ahead, data driven actions will become more and more sophisticated and will augment work activities and support consumers when they shop, trade, and make decisions. Join this webinar for a discussion of these trends. Hybrid cloud drives significant change in IT. Attend this webinar for best practices on change measures and prioritization of such. 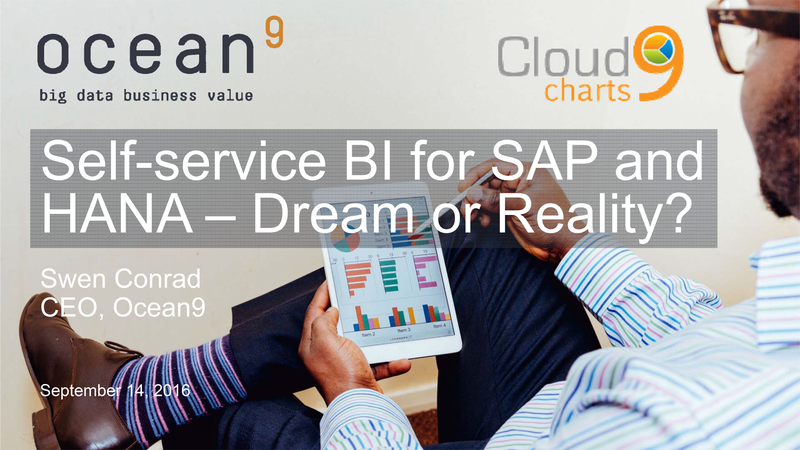 Single tenant SAP B1 solution at a highly competitive price point providing full customization, leading end-user performance and security. Per user pricing and support of SAP HANA as well as MS SQL. Databases always represent challenges unique to running workloads requiring a maximum of I/O, network, CPU resources combined with data locality. 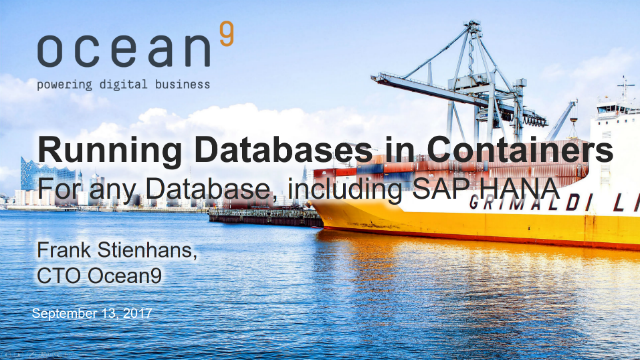 This session covers: (1) Characteristics, performance, value, architecture and operations of database containers; (2) Details on SAP HANA fully containerized; (3) A live demo will feature a database of 1.2 billion rows of data. SAP HANA and S/4HANA are the new Crown Jewels of SAP landscapes. 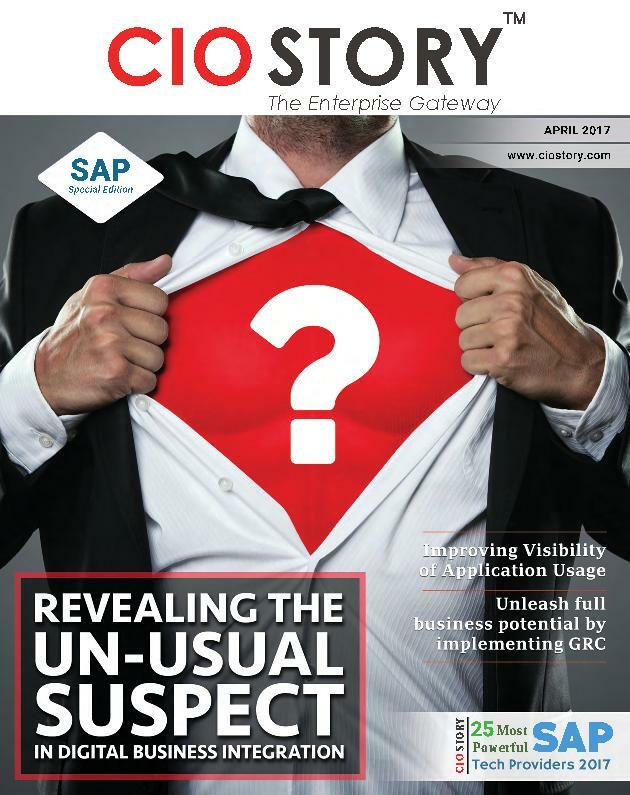 Yet, despite the application failure cost of $500k-$1m per hour, most SAP HANA implementations are not protected against disaster. 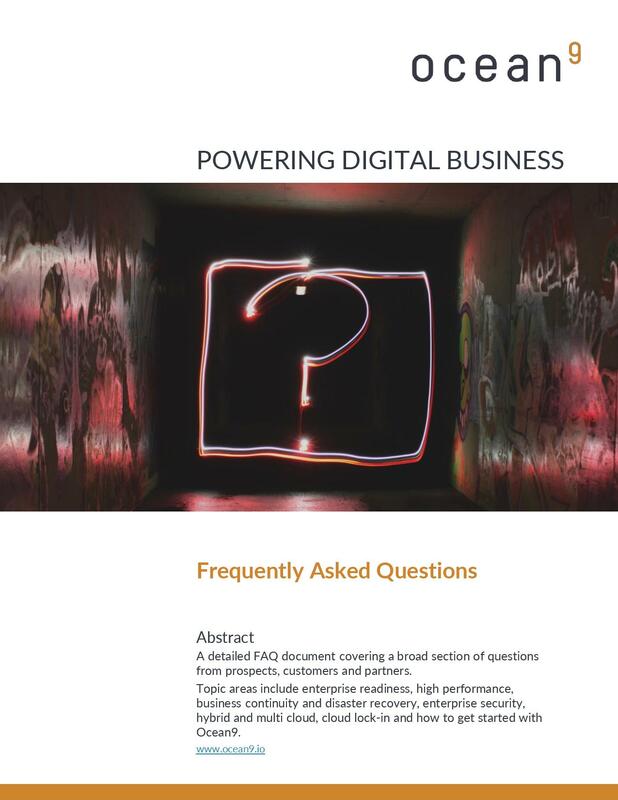 This detailed FAQ document contains the wealth of questions our customers, prospects and partners have asked us over the years. 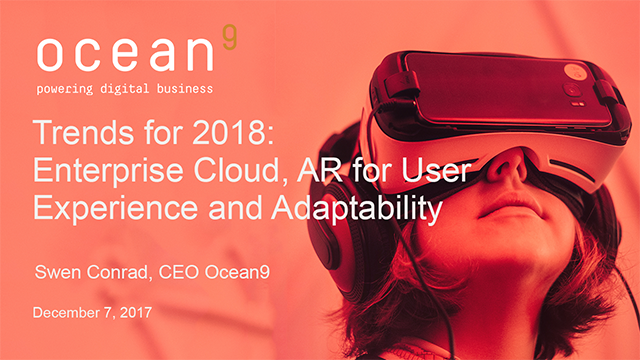 It is well structured and provide you with a great overview of they Ocean9 solution and the detailed solution capabilities and qualities. IoT is creating a lot of data. But do you know exactly how much? Especially when IoT solutions evolve while transforming a business for the digital world. Nobody does. - See four key concepts for building agile, scaleable architectures for our digital world. 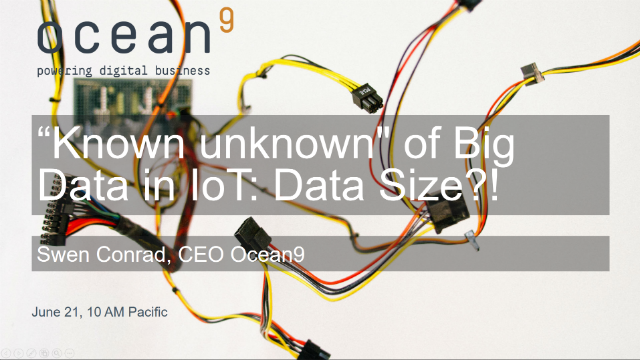 Big Data in IoT will grow to a size that is hard to predict; in short: A "Chicken and an Egg" problem. - This presentation covers four related concepts that help address this problem. Explore concepts and architecture of database containers in the presentation from Cloud Expo New York 2017. This was one of the best visited sessions at the event. 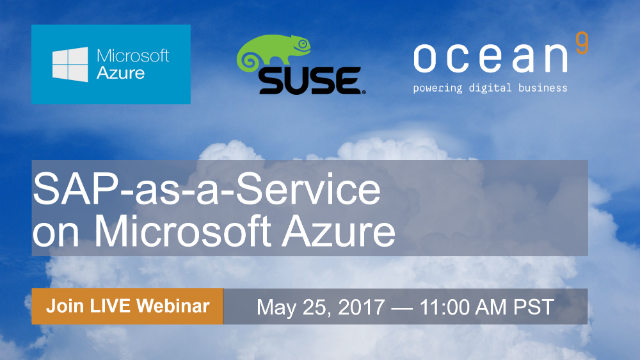 The teams at Microsoft, SUSE and Ocean9 have joined forces to demonstrate how their combined cloud native SAP-as-a-Service offering for SAP HANA and S/4HANA revolutionizes your SAP service delivery, agility and economics. 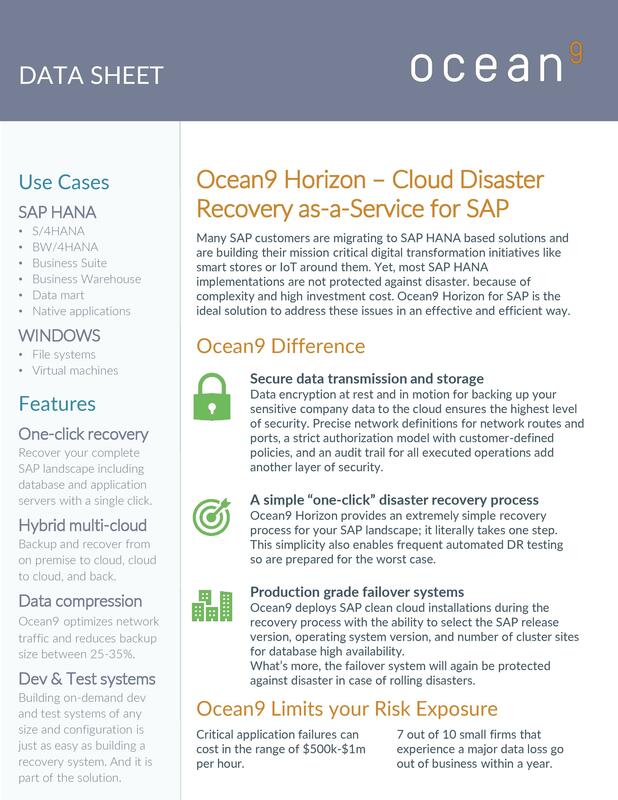 Protect your mission SAP HANA implementations against disaster. without complexity and high investment cost. 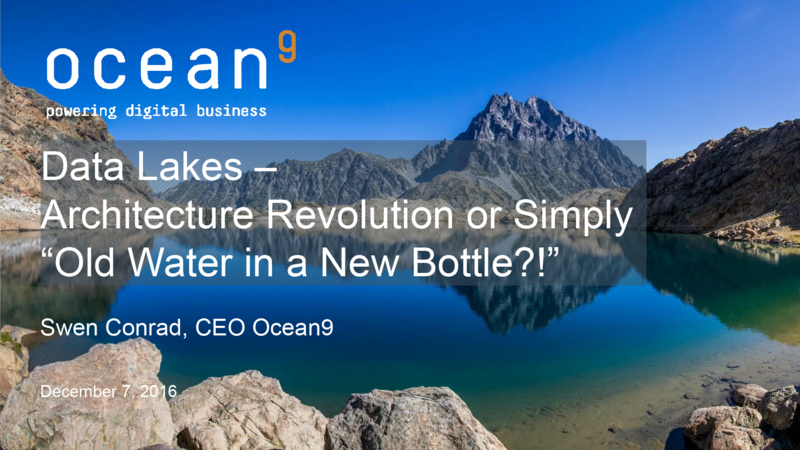 Ocean9 Horizon is a simple to implement and fully automated DRaaS solution to protect your SAP landscape. 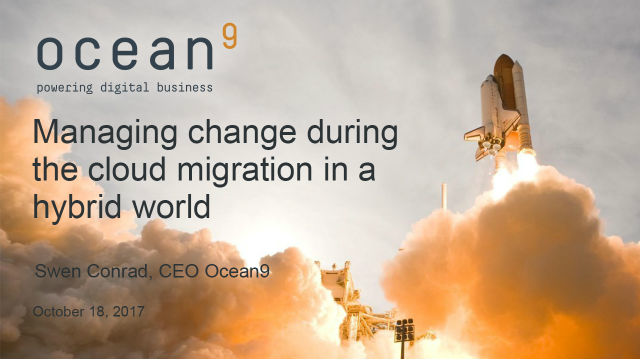 If you are looking for simple management of your SAP workloads on public cloud, look at Ocean9. 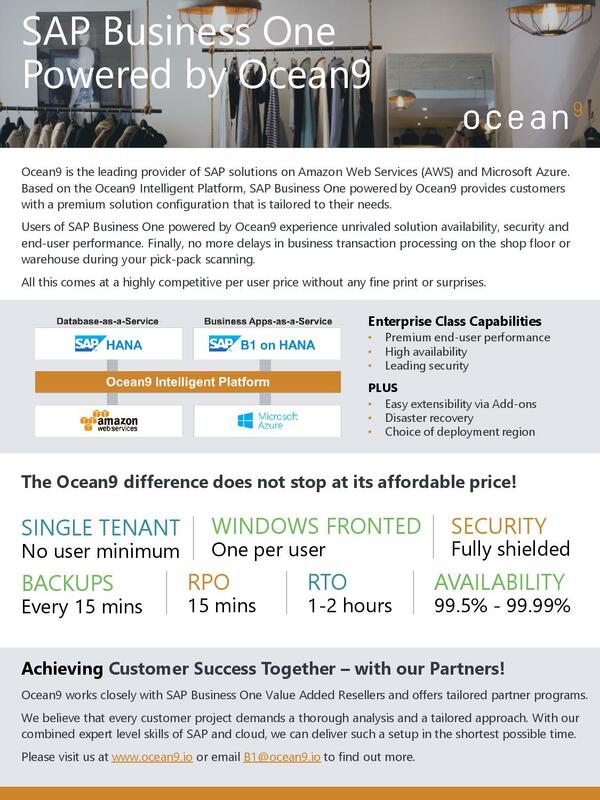 Ocean9 gives you enterprise grade SaaS solutiions for SAP with maximum agility, security, cost efficiency and up to 99.99% availability. As easy as a piece of ... cupcake! Running heavy state database containers in the cloud is State of the Art. 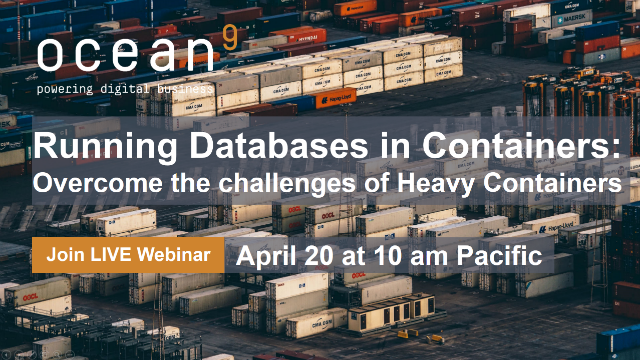 Listen to this webinar recording or review the slides to understand the business benefits, challenges and a save path to leveraging DB containers in production today. 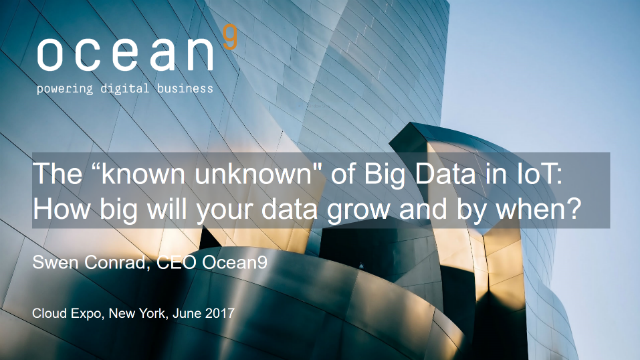 Within months of launching the Ocean9 for SAP HANA cloud service, Ocean9 has formed more than 10 strong partnerships with many more in process. 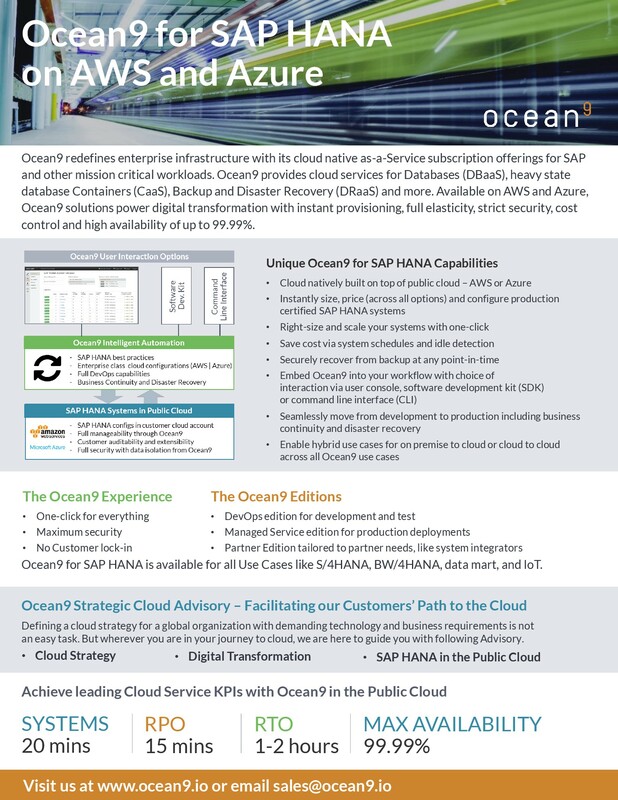 Ocean9 announces the unlimited public release of the Ocean9 Configurator for SAP HANA on Amazon Web Service (AWS) and a set of strategic targeted cloud advisory services. 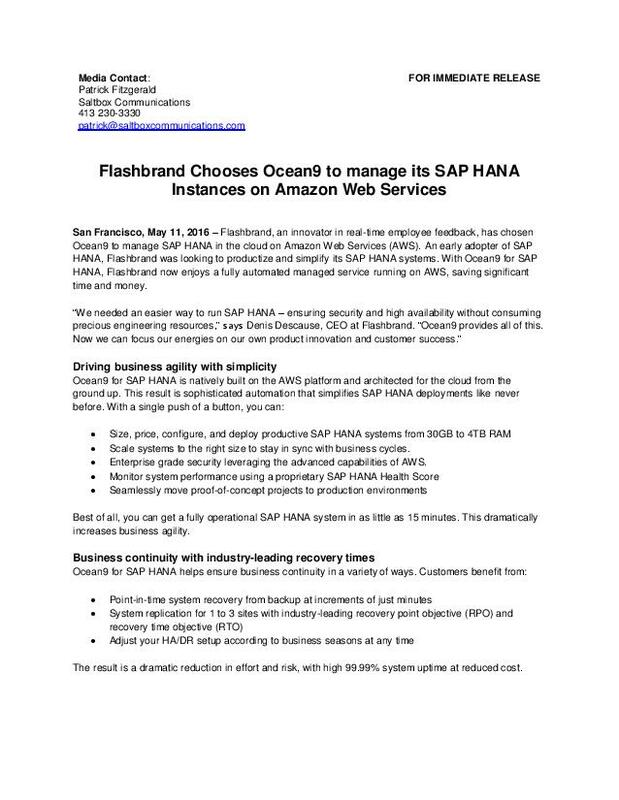 Flashbrand has chosen Ocean9 to manage SAP HANA in the cloud on Amazon Web Services (AWS). 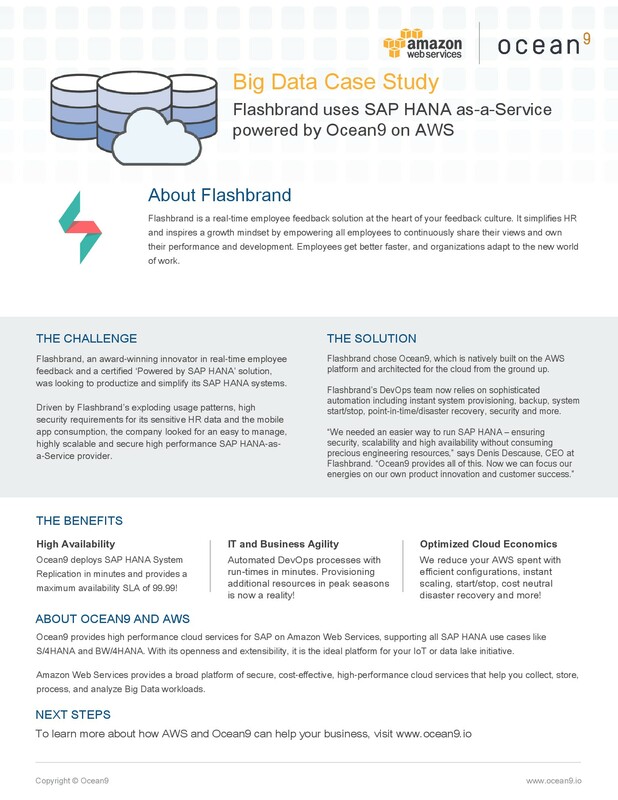 Flashbrand was looking to productize and simplify its SAP HANA systems. 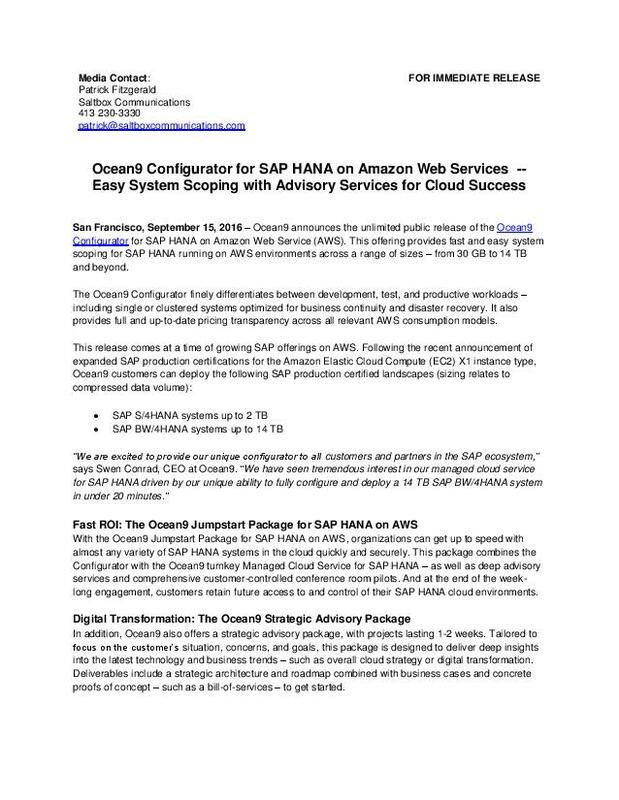 With Ocean9 for SAP HANA, Flashbrand now enjoys a fully automated managed service running on AWS, saving significant time and money. 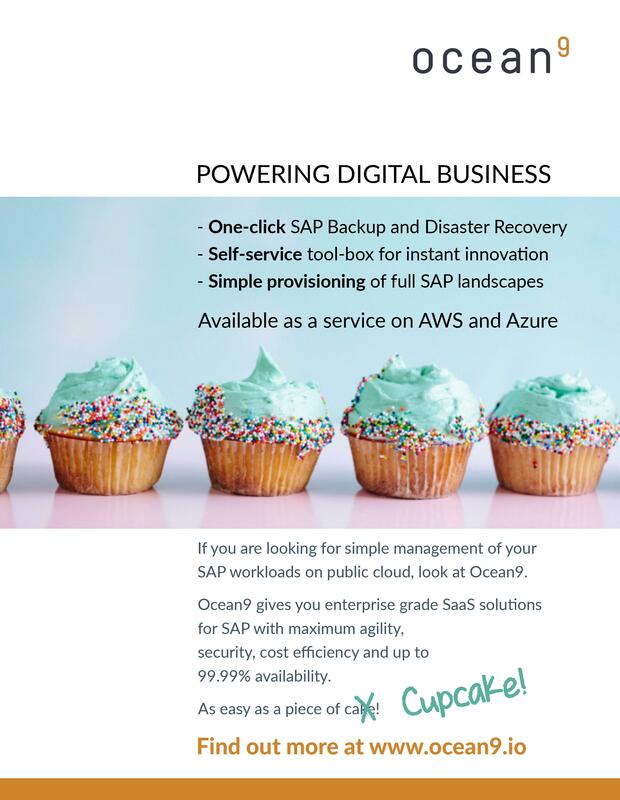 Get a quick overview of Ocean9's SAP-as-a-Service offering on the AWS and Azure public clouds. Understand what it means to leverage cloud native infrastructure architectures and how it can fuel and accelerate your Digital Transformation agenda. 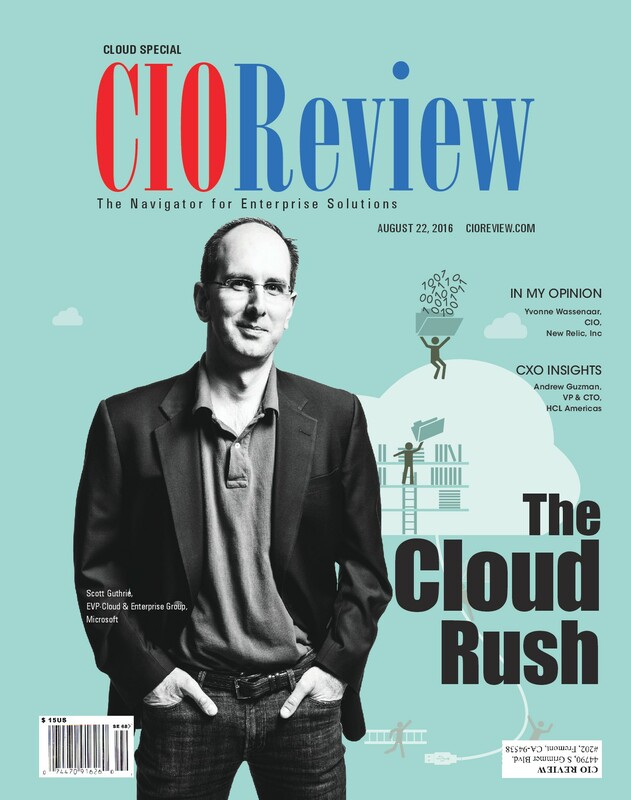 An article published in the CIOReview Cloud Special in August 2016: Swen Conrad, Ocean9 CEO, writes about how to leverage public cloud for SAP focused Digital Transformation initiatives. 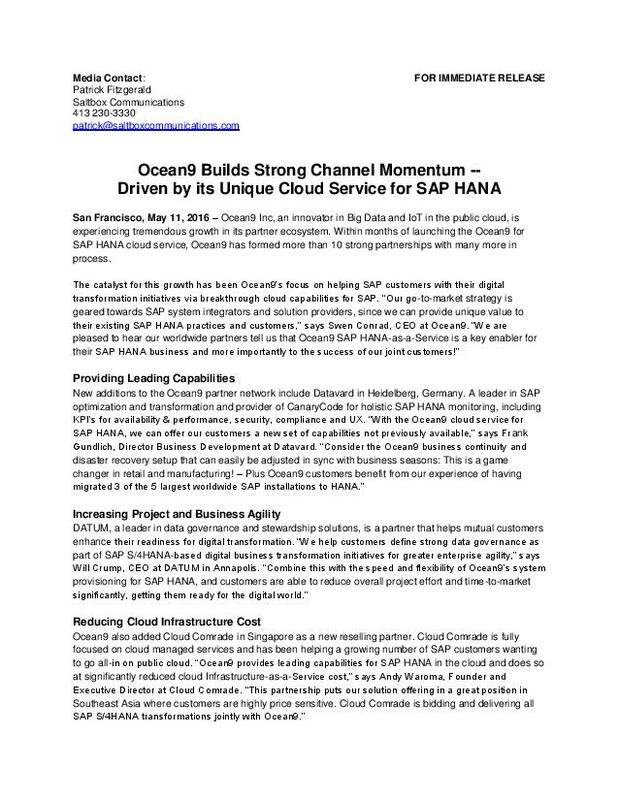 With the mission critical nature of SAP systems and the power of public cloud, Swen outlines a save path for companies to prosper in the Digital World. Flashbrand is a real-time employee feedback solution at the heart of the feedback culture. 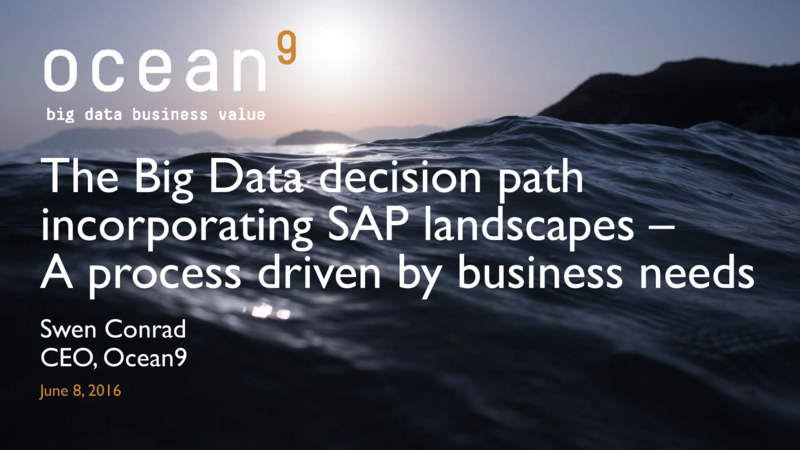 Driven by its exploding usage pattern, high security requirements for its sensitive HR data and the mobile app consumption, it chose SAP-as-a-Service by Ocean9. 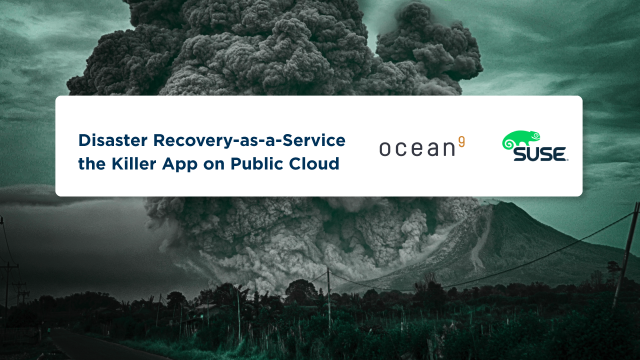 Disaster Recovery as-a-Service, the Killer App in the Cloud! A group of researchers from the University of Massachusetts Amherst and AT&T Labs stated: “… [that] running DR services using public cloud shown[ed] cost reductions of up to 85% … .” Understand how to leverage public cloud like Amazon Web Services or Microsoft Azure for delivering Disaster Recovery as-a-Service (DRaaS) and achieving such infrastructure cost savings. Innovation can come from the most unexpected places. 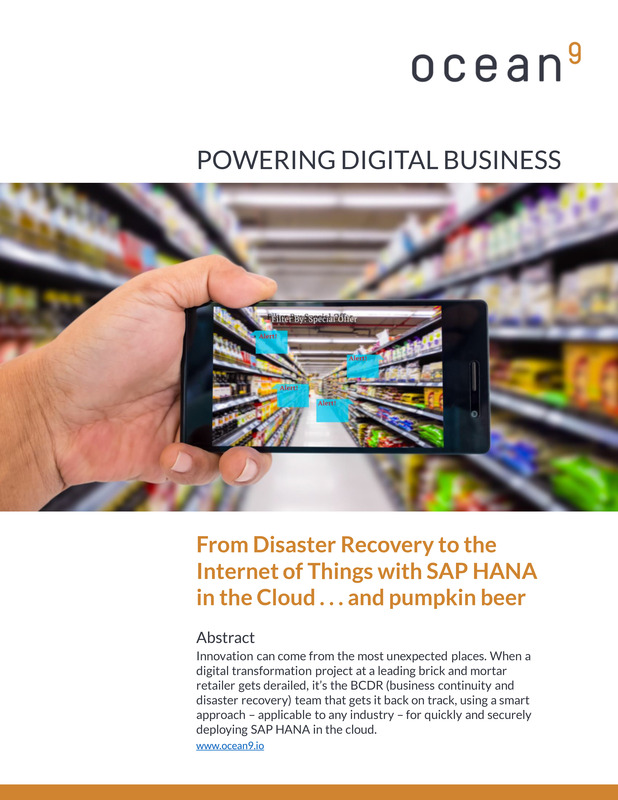 When a digital transformation project at a leading brick and mortar retailer gets derailed, it’s the BCDR (business continuity and disaster recovery) team that gets it back on track, using a smart approach – applicable to any industry – for quickly and securely deploying SAP HANA in the cloud. The Oprah effect! Blessing or Curse? 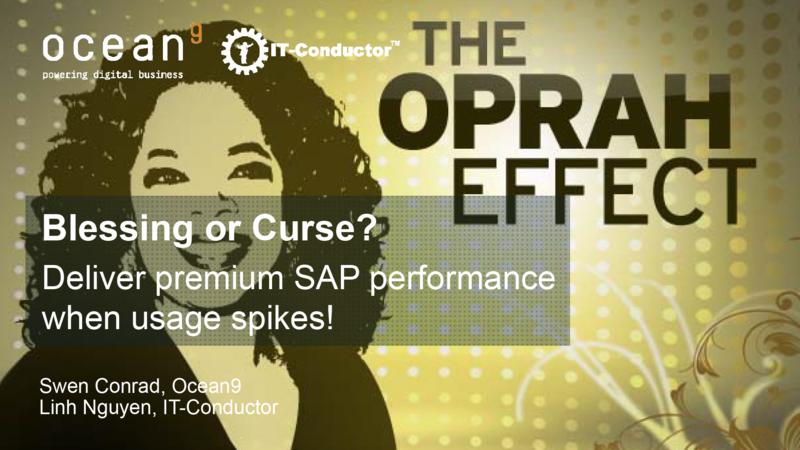 Premium SAP performance when usage spikes! Per Forrester Research, "Today's APM system does an adequate job finding performance issues, but leaves businesses in the dark on how to fix those problems". Learn about the importance of Digital Performance Management (DPM) and how it aligns performance management efforts with customer and business needs. 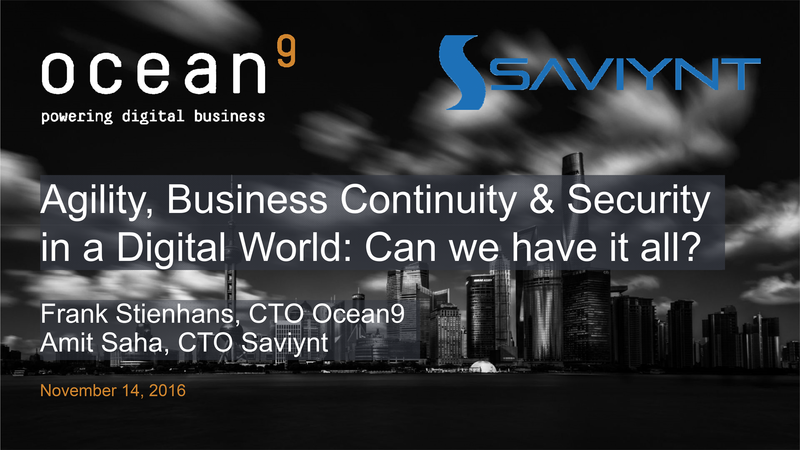 Agility, Business Continuity & Security in a Digital World: Can we have it all? Significant business opportunity and value is created w/in our increasingly connected Digital World. The upside is tremendous! – But wait a minute, what about business continuity and security? And how do I stay nimble? Securing processes that span from sensors to corporate systems in an always on world, is a formidable challenge. Past infrastructures provided compute, storage and network enabling static enterprise deployments which changed every few years. 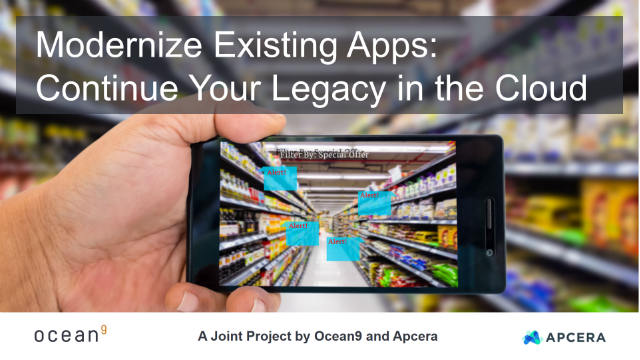 This talk will analyze the consequences of a world where production SAP and Spark clusters including data can be provisioned in minutes with the push of a button. What does it mean for the IT architecture of an enterprise? Understand how popular open source and vendor provided technologies integrate well, all making key contributions to a successful big data technology. But more important than technology is the business goals you define and aim to achieve. - See many examples in this deck and online presentation. Both production and non-production landscapes are massively affected by the rewritten laws of physics in the cloud. 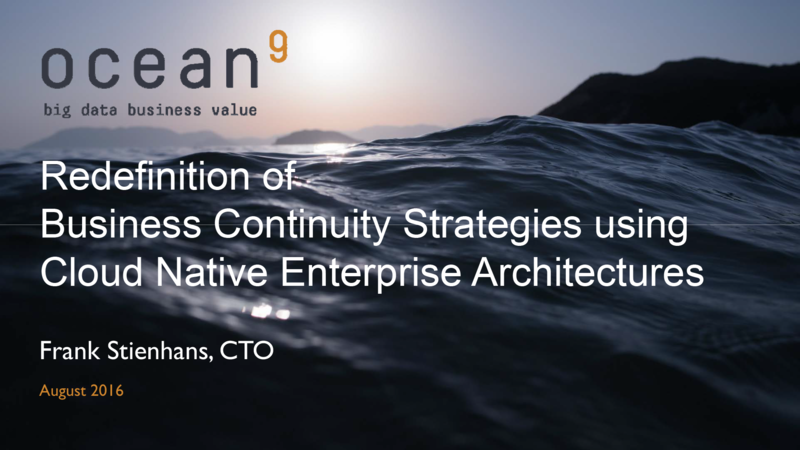 One opportunity of Cloud Native Enterprise Architectures is to redefine the approaches to Business Continuity and Disaster Recovery.